1. 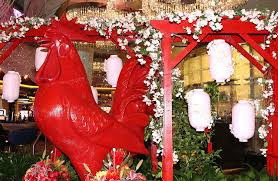 The 6th annual Chinese New Year in the Desert celebration will take place Jan. 27 through 29 in multiple locations, including Fashion Show Mall, Downtown Container Park and at The LINQ. Click here for more information about all the celebrations around the valley. 2. 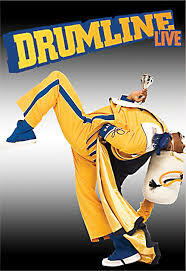 "Drumline Live" is a musical production created by the teams behind "Drumline" and "Drumline: A New Beat." See the show Jan. 26 and 27 in Reynolds Hall at The Smith Center for the Performing Arts. 3. Las Vegas entertainer and singer Jassen Allen pays tribute to the great Luther Vandross and other iconic performers with his tribute show "With Love... Luther Vandross and Friends" at The Space on Jan. 27. 4. 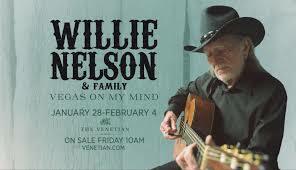 Self-proclaimed outlaw and country legend Willie Nelson opens Feb. 1 at The Venetian. The title of his show is "Vegas On My Mind" and guests can expect to hear singles like "Always On My Mind," "Seven Spanish Angels" and "On The Road Again." 5. Clark County Library will host a staged reading of "The Weir" by Conor McPherson on Jan. 27. "The Weir" is the story of four men telling ghost stories to impress a young woman from Dublin who recently moved into a haunted house. Admission is free. 6. The Mecum Motorcycle Auction continues through Saturday at the South Point. More than 1,000 motorcycles built between 1985 and 2016 are up for auction. General admission tickets can be purchased at the entrance for $25 per day. Children 12 and under admitted free. 7. 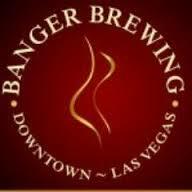 Banger Brewing on Fremont Street is celebrating its 3rd anniversary on Jan. 28 with $3 beers from open until close. They will also be releasing their 3rd anniversary beer, Golden Sours, in bottles. Golden Sours is a Sour Pale Ale that has been aged in chardonnay and cabernet blend barrels for 8 months. Limited supply. 8. Timothy B. Schmit of The Eagles performs Jan. 28 at Aliante hotel-casino. Schmit started his career in the '60s with the band Poco and became a member of The Eagles in 1977. He performed with them off and on for decades. 9. The Thomas Nicholas Band will play during a Rock 'n Roll Wine event on Jan. 27 inside Vinyl at the Hard Rock Hotel. Sip on 30 different wines while listening to "Kevin" from "American Pie." He'll be playing a mix of covers and originals. 10. Sinful Sunday returns Jan. 29 to the Sand Dollar Lounge. The burlesque show will feature performances by Kalani Kokonuts, Valerie Stunning, Buttercup, Kitschy Koo and Nicki Taylor. Free admission. 11. "Motivational speaker" Tommy Savitt, also known as Tommy Lama, delivers an original stand-up comedy act to his "disciples" five nights a week at the LA Comedy Club inside at The Stratosphere. The interactive show also brings audience members on stage for unpredictable laughs. Lama claims to be the love child of Andrew Dice Clay and Deepak Chopra. 12. Leopold and His Fiction, which has been compared to the group White Stripes, perform Jan. 30 at the Bunkhouse Saloon. The band is promoting their fourth full-length album titled "Darling Destroyer." The album is an ode to his upbringing in Detroit. 13.Ace Frehley, who has been called one of the most influential guitar players in the last four decades, performs Feb. 2 at Brooklyn Bowl. 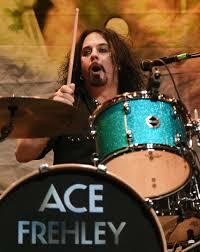 Frehley is best known as the former lead guitarist and founding member of the band KISS. His persona was "Space Man" or "Space Ace."